The term 'modern male' was often given a hard time back in the days of sepia tint photos and world wars, however thankfully times have changed. We now look up to the mainstream media celebrity ideals, particularly trendy guys with longer than a grade 1 haircut and skinny jeans with admiration in the form of likes, follows and favourites. What he said: "It all comes out in the wash". What it really means: Practicality is something all us guys never shy away from, albeit his mother probably gave him this advice but it's something to take into consideration. In an interview with Burberry at London Fashion Week last year, he admitted his top fashion tip was 'Make sure it's clean'. What a great piece of advice... so do a Harry and make friends with your washing machine. If he can pull Caroline Flack and Taylor Swift, putting on your clean shirt on suggests there's a chance for you yet. What he said: "Show something that's worth showing and the rest does the work for itself". What it really means: His cryptic got us thinking, fashion isn't just about clothes, dictionary defined as 'a style that is popular at a particular time'. Right now, guys with beards and tattoos are super popular with the chickas and men alike and we're not sure how this came about but, tattoos let your clothes speak for themselves. We're not saying you should head down to your local parlour and get yourself covered head to toe, but it's worked for this guy. 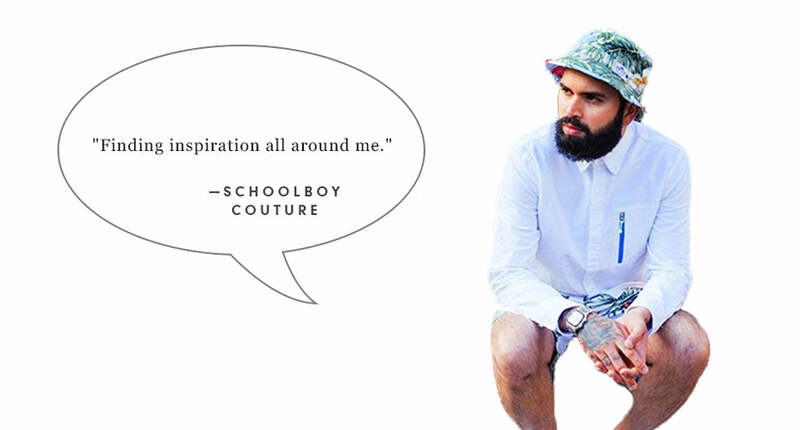 What he said: "Finding inspiration all around me". What it really means: Schoolboy Couture taking styling advice from an overhead yellow transport handle might seem strange, but it's a simple reminder to open your eyes and use your surroundings as inspiration for your wardrobe. Separate yourself from being that average Joe in black and blue, and inject some yellow into your life. Check out our SupremeBeing jacket and Farah short sleeved shirt for example. What he said: "It's never too late to become a better version of yourself". What it really means: #Deep. 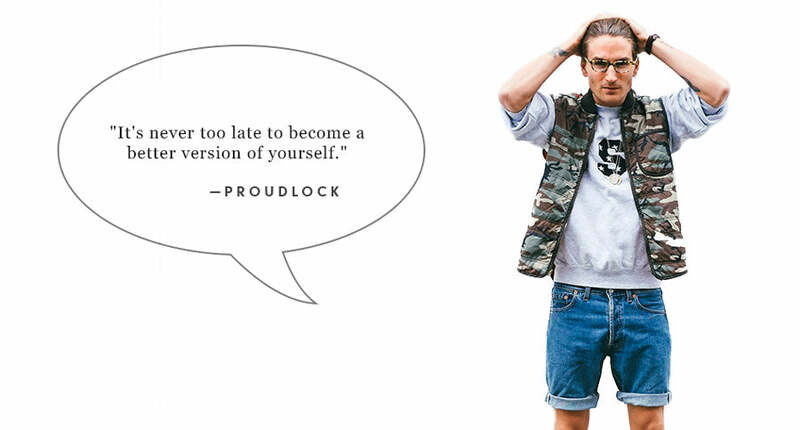 Made In Chelsea star known as 'Proudlock' has his own fashion label and is often hot topic during Monday's twitter hashtag trending section, so naturally he's well in the know when it comes to fashion. Casual dressing is the normcore these days, but it's never too late to up your fashion game. Shop New In to be top in the fashion league tables. What he said: "My style — it’s black, and it’s expensive". What it really means: We all massive fans of minimalism here at The Idle Man, but this guy takes it to the extreme, even the imagery on his band The 1975 on twitter is in monochrome. Dressing in black used to mean you were a goth or an emo, but today it's seen as a modern-male way to dress. Stick on a plain black tee, black skinnies and some plimsoles and you've got this effortless look down without necessarily breaking the bank, because let's face it, you're not a rockstar are you.